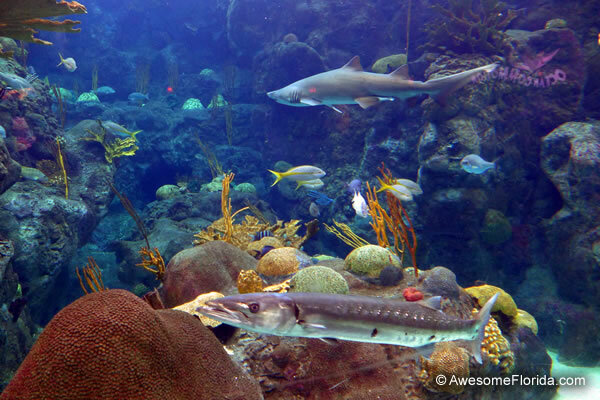 As aquariums go, The Florida Aquarium in Tampa is truly one of the finest. Ranked by Parents Magazine as one of the top 5 kid-friendly aquariums and listed in the top 10 aquariums by TripAdvisor, a travel site that posts ratings and comments by "regular" people, this expansive facility boasts more than 200,000 square feet of exhibits and about 20,000 aquatic plants and animals from around the world. 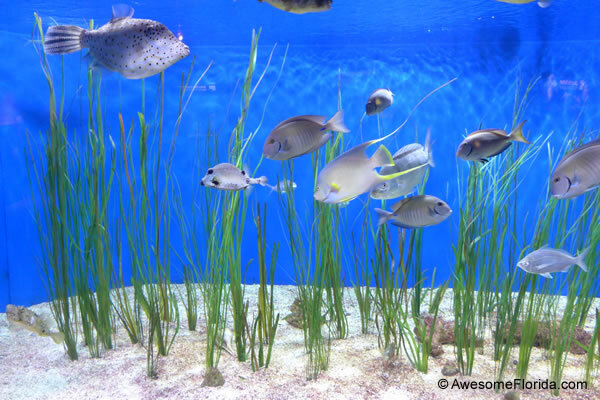 The aquarium is divided into four "galleries" and many exhibits within those galleries. Each has a different emphasis. Wetlands - This section of the aquarium is very much Florida-oriented. Here visitors can explore fish, animals, and birds of the state's marshes, streams, rivers, swamps, and mangrove forests. 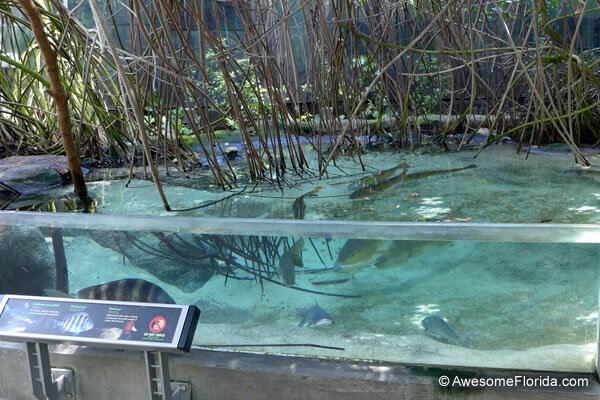 Kids will love the adorable river otters and be awed by the gators. Bays and Beaches - Visitors to this gallery get the opportunity to observe the sea life typical of nearby Tampa Bay. Exhibits show what's at the bottom of the bay as well as fish that typically attract recreational fishermen to the area, like snook. The beach display presents a cross section of the sea life found at a typical southern beach. The Coral Reef - This colorful gallery brings guests close to the waters of the Keys with a look at the sea life that inhabits the coral formations of the Dry Tortugas, near the Keys. Guests can walk under a virtual tunnel to find out what's inside a coral cave or peer through the Panoramic Window and watch one of several daily dive shows held at the site. Visitors will also want to check out the Coral Farm, where biologists experiment with techniques used in coral reproduction. 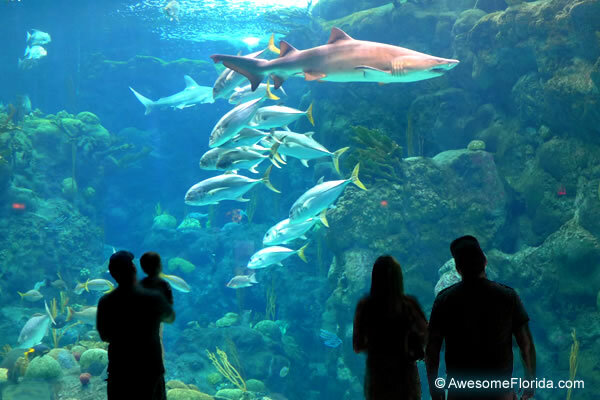 Ocean Commotion - The Florida Aquarium's Ocean Commotion invites visitors to explore the depths of the world's oceans. 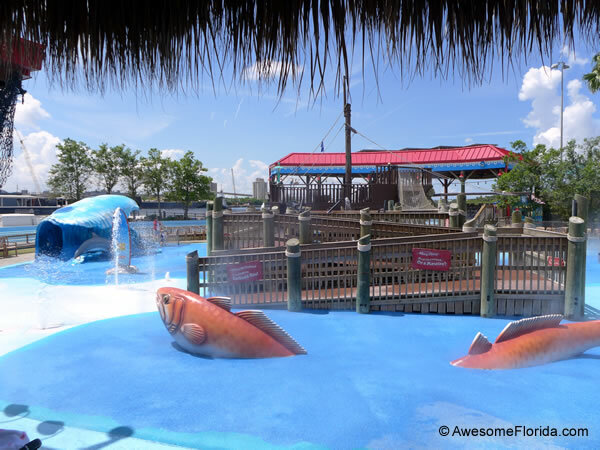 Very much an interactive, hands-on gallery, kids can pick up phones and learn about their favorite creature and even play with a virtual dolphin. Dragons Down Under - Part of the Coral Reef Gallery, this exhibit provides the opportunity to view real Southern Australian sea dragons and fascinating dwarf seahorses, which are native here. Awesome! No Bone Zone - Geared towards younger children, this section of the aquarium focuses on invertebrates. 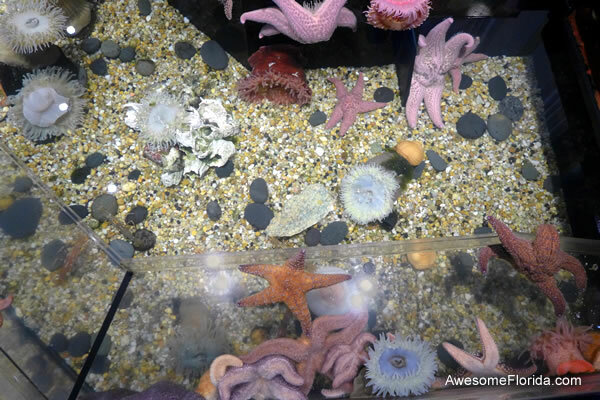 The piece de resistance for little hands is the touch tank but there's also an addition 400 gallon tank featuring more boneless sea creatures. Kids also love crawling in and out of human-sized hermit crab shells! Year of the Frog - Not one but four exhibits outline the plight of the frog in hopes of encouraging amphibian conservation. Visitors will view frogs native to the reqion as well as their sisters and brothers from around the world. No one is ever bored at The Florida Aquarium. Aside from galleries and exhibits, there are plenty of scheduled activities and additional attractions to keep visitors of all ages busy. Explore a Shore - At 2 acres in size, this outdoor water zone provides plenty of room for the kids to run around and cool off. Featuring slides, geysers, water guns, and more, the Explore a Shore is a welcome respite for little ones with short attention spans. Penguin Promenade - A few times each day, guests can get up close and personal with resident penguins as they promenade across a red carpet lined with eager visitors. Guests are asked to sit calmly around the carpet as the penguins travel through, often stopping to greet their visitors. 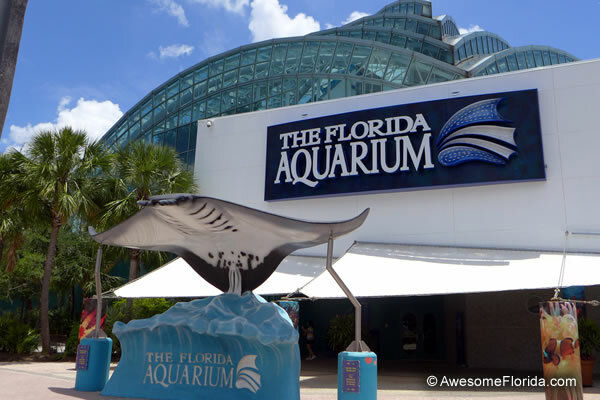 Behind the Scenes Tour - These fascinating one-hour tours take guests to parts of the aquarium that can't otherwise be explored, like the quarantine areas and the kitchen that prepares the meals for all the Florida Aquarium residents. Dive with the Sharks - Certified SCUBA divers age 15 and up are invited to experience close encounters with the aquarium's sharks in hopes of dispelling the myth that sharks are man-eaters. Dive masters accompany each diver. An additional fee is charged and reservations are suggested. Wild Dolphin Cruise - Climb aboard the Bay Spirit II, a 72-foot catamaran, for a 90-minute journey to view Tampa Bay's bottlenose dolphins. Ecotours happen daily, with extra tours on the weekends. Reservations are recommended. Education & Camps - The facility has an Education Department that arranges Teacher & School programs, Youth & Families programs, field trips, travel camps and workshops.